At Red & Black, we take pride in understanding the needs of the farmer and of those working in the agricultural industry. Our approach recognises your special position. To this end, we listen and learn about the needs of your business and have developed an approach to farming businesses whilst recognising your particular circumstances. Our clients know that their accounts are in order and have complete trust in us that we are there for them whatever their concern. Our offices are in the South Downs and offer a wide range of agricultural accounting and taxation services that will give you confidence in developing your business. The right approach to planning your business structure is critical all the more so as it is heavily capital intensive. What may have been appropriate 5 or 10 years ago, may no longer be so. Consideration of capital tax planning for the future is often critical. We specialise in the agricultural industry and support a range of farming, horticultural and rural businesses and work closely with you to take advantage of tax planning opportunities appropriate to your needs and keep your tax liability down. By dint of careful forecasting and planning, we at Red & Black ensure that you maximise your profits and pay the minimum amount of tax. To this end, we have a free tax planning meeting with you once a year. Examples of such opportunities are listed below. Choice of most favourable trading structure. Sale of the business or change of structure. Managing banks and reporting to them. One farmer saved over £10,000 by taking advantage of the claim to average his profits of two consecutive years. Farming profits can fluctuate from one year to the next particularly with frequent movements in the costs of production and selling prices. Averaging of profits allows farmers to transfer profits which would be taxed at a higher rate to another year where they are taxed at a lower rate. This relief can be valuable particularly where a tax rate of 40% is replaced by a tax rate of 20%, or where a personal allowance hasn’t been fully used in one year and now can be used. As a matter of course, we review your profits to see if there is opportunity to take advantage of this. Taxable profits of two consecutive years are averaged. This is only available to sole traders and partnerships in the farming and market gardening business and not to limited companies. In the case of partnerships, each partner needs to make the claim himself based on their share of profits. The taxable profits of two consecutive years can be averaged if the profit of one year is less than 70% of the profit of the other year. Where profits are greater than 70%, then a marginal relief is available. Contact us on 01329 834 930 or write to us at info@redandblackaccountancy.com to learn how this might affect your business. 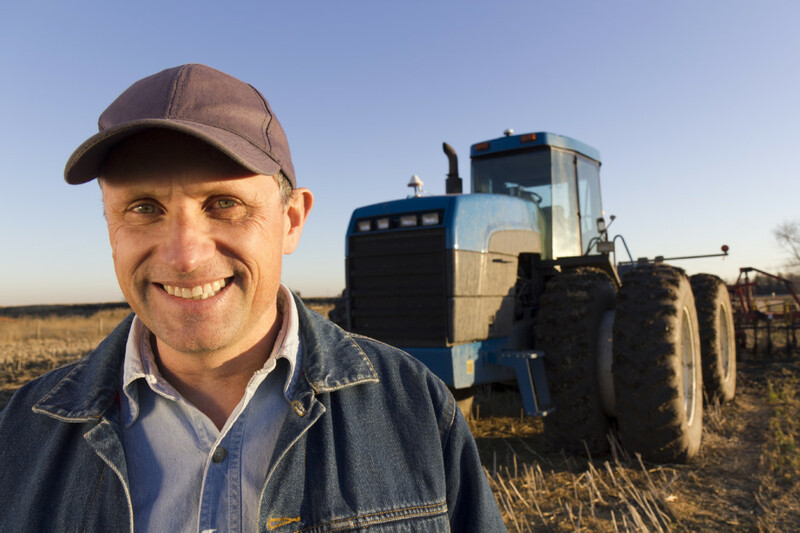 One farmer was able to reduce his farming profits by over £25,000 by taking advantage of a stock depreciation claim. Traders may deduct the value of depreciation held in the value of stock in calculating taxable profits following the House of Lords decision (William Grant & Sons v CIR and also Small v Mars UK Ltd). The Lords held where the cost of depreciation is held in the value of closing stock this may be used to reduce taxable profits. Where stock has been sold, then this deduction should not be made. This treatment is compulsory and HMRC have said as much. This adjustment is likely to have greatest effect where businesses are building up stock, diversifying into a new line, starting up in business or have bought an unusually large amount of stock to take advantage of a trade discount. Consequently, an adjustment should be made in the tax accounts by preparers to reflect this treatment. Conversely, where there is a large decrease in stock from one year to the next, and the value of deprecation is included in the value of stock, there is likely to be an opposite effect. Effective planning can mitigate this impact. This adjustment is likely to have a significant impact on farmers and market gardeners most. Why Red & Black Farming? You will be assigned a qualified expert accountant who will work as part of your team and address your needs and help you achieve your goals by providing practical solution appropriate to your needs. Our accounts have been developed to identify key performance indicators clearly and to enable you to compare your performance with industry standards. Whatever the nature of your business, you need to be able to exercise control over business activities, making sure that everything is keeping to plan and that necessary actions can be taken to put it back on track when needed. We monitor the performance of your business at regular intervals to ensure it is on-track to meet your targets and plans. We do this through the use of budgetary and financial planning tools powered by specialist agricultural accounting software. Farmers, market gardeners and rural businesses do need specialist accountants not least because their industry has its particular characteristics and not all accountants are equipped to help. At Red & Black, we pride ourselves on our expertise and technical knowledge and list some of the things that we may be able to help you with. The following isn’t an exhaustive list. The tax and accounting treatment of the single farm payment. Strategies to protect farm houses and property after the Amtrobus case. The impact of the pre-owned assets charge. The impact of separation on the family farm. The use of trusts to protect wealth in the light of recent legislation. The protection of capital tax relief where farms are diversifying into other businesses. Forecasting of profits and cash. Payroll, VAT and bookkeeping services. Decision support on capital expenditure. Setting up of accounting software packages. Whether you are seeking to exploit some more elaborate tax planning strategies or looking for bookkeeping and basic accounting services, we are here to help you. Our expertise will enable you to take advantage of current developments.